Super stylish promotional pen that will get you noticed! Best selling Curvy ballpen with a shapely matt silver barrel, shiny silver clip and a coloured grip. These attractive, great value printed pens with their distinctive countoured shape are sure to impress. Take a look at the great range of curvy colour options and styles including pad and pen sets also available. Curvy pens can be printed up to 4 spot colours (subject to sight of artwork). 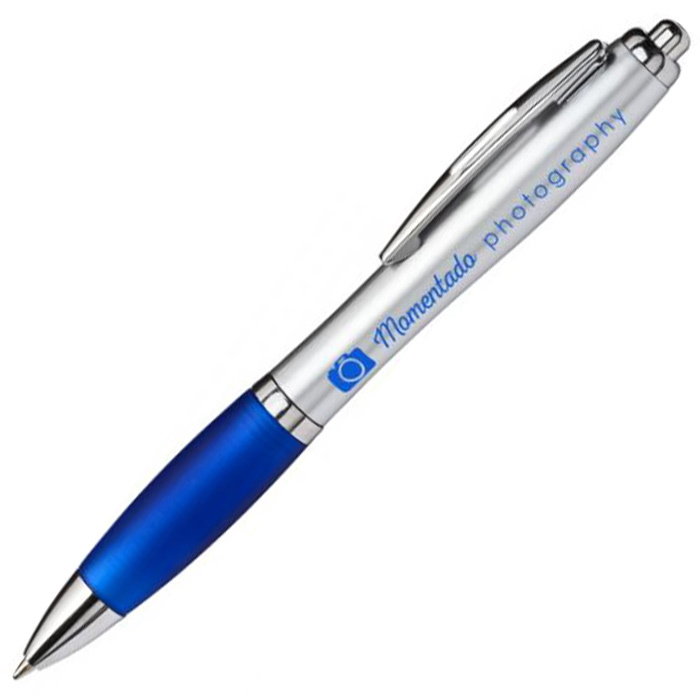 For orders of 1000 pens or less (with a 1 colour print) we also offer an express service on this item. 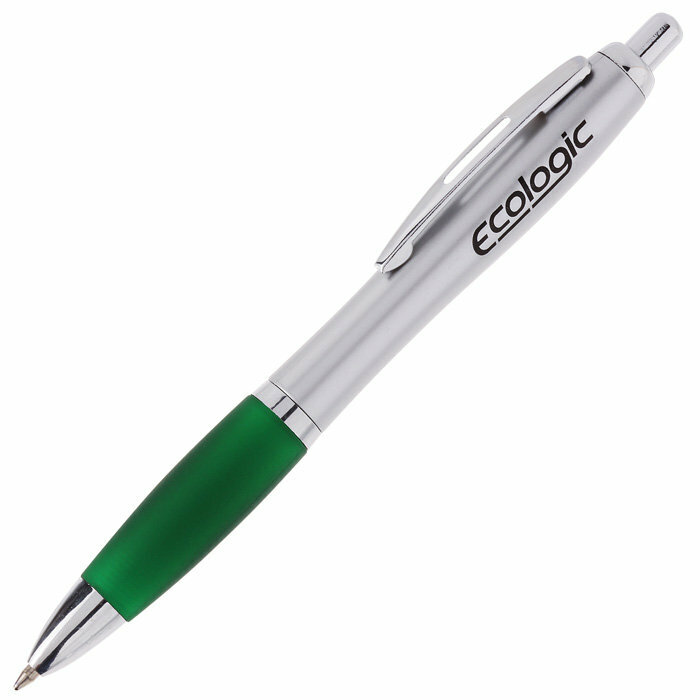 Price includes a 1 colour print in 1 position to the side of the barrel. Print area: 60 x 8mm.